Coin Box and Colour Tablets - Giveaway!! Occasionally on this blog I am asked about sponsorship. I love my white-space and this is not something I am willing to give up just yet. However I thought there would be a way that I can promote some of my favourite Montessori companies and give back to the readers that visit here as well. How about some giveaways? In the lead up to Christmas and in the spirit of giving over November and December we will be hosting some wonderful, delightful giveaways of Montessori related products for infants and toddlers. The first giveaway starts today and is from the Australian company Classic Baby. Classic Baby stock a great range of wooden and educational toys for children up to three years, including Melissa and Doug, BRIO and an entire section of Montessori materials. Keep an eye out for their sale items with sound boxes, shape sorters and colour stackers all currently discounted. With Christmas approaching this would also be a good site to give to relatives or Grandparents as there isn't a toy here that I wouldn't have in my home. This is one of my favourites. Classic Baby is a retailer of Montessori Materials exclusive to the Australian market and is also part of a global effort to provide products that meet the highest environmental standards. The woods used in our complete range of Montessori materials are sourced from Rainforest Alliance Certified forests and are responsibly harvested to benefit communities, wildlife and the environment. Our range of eco wooden Montessori toys have been developed based on the original materials that Dr Montessori designed in the 1920s. 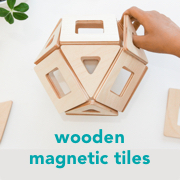 These beautiful, high quality wooden educational toys have been carefully designed to allow each child to reach their potential through natural curiosity and exploration. Our toys encourage the development of self-confidence, self-motivation, self-discipline and a lifelong passion for learning. Their simple, unassuming design reflects the vision Maria Montessori had – helping to keep the child focused on the task rather than the object. By choosing to make the toys in wood, we are staying true to Montessori: wood offers wider experience to a child through its grain, variety of smells, differing weights and sounds when tapped. 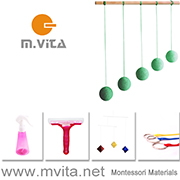 Each of the materials in our range have been carefully tested under the Australian/New Zealand toy standards for chocking hazards and harmful materials so that we could offer safe products for babies and toddlers to enjoy a Montessori education at home. This giveaway is for one Coin Box and one set of Colour Tablets. The Coin Box is suitable for a baby/toddler from 12 months and the Colour Tablets for a toddler from around two years. Yes, what a lovely materials! Thank you to Angela and her team at Classic Baby for making the giveaway possible. To enter simply leave a comment below. I will draw the giveaway using random number generator and will contact the recipient shortly after by email. Comments close Thursday 10th November at 9pm AEDT. The giveaway is open internationally but please only one entry per family. Edited 10 November. Comments have now closed. The recipient of the coin box and colour tablets is Charissa!! It was wonderful and rewarding for me to have so many people enter, Thank You! If you missed out and would like another chance, keep an eye out for our next Christmas 2011 giveaway next week.